Marketing Automation is defined as the internet marketing technology that allows companies, big or small, to streamline and automate their marketing tasks and measure workflows to increase their operational efficiency and boost revenues. Marketing Automation refers to a wide range of automation and marketing analytic tools especially inbound marketing. Marketing Automation platforms are used as a hosted or web-based solution, and no software installation is required by a consumer. SaaS marketing automation platforms include Marketo, Hubspot, Infusionsoft, SugarCRM(with customization), Eloqua, Salesforce CRM, Zoho and more. Infusionsoft makes it easy for you to streamline the way you market your products and services to new customers by automating lead capture and follow-up. Generate tailored interactions with your customers based on emails, clicks, form submissions, and payment history in order to meet customer needs at time. Infusionsoft’s integrated CRM system helps you to use the contact information in an organized matter. This can help you to personalize your emails and encourage your customers to take action. Infusionsoft assists you to create professional landing pages for various promotions and campaigns. Even you can modify, test and compare them with each other within this platform. These great features help you to review what is working and what not? Improve your online marketing and increase your leads with data-driven marketing decisions. Contact us for a FREE consultation or call us today at 619.567.9322. Sugar CRM is based on open source technology and provides users a powerful platform to create winning CRM strategies. It offers a wide range of customizable and deployment options for for on-premise and cloud. Sugar CRM offers the same level of functionality, customization and integration with 3rd party systems and tools on cloud, onsite and On-Demand. SugarCRM workflow tools allow you to automate and optimize the simple and complex business tasks to enhance customer experiences, drive efficiency and reduce operating costs. Take advantage of more than 26 supported languages and currencies; or integrating with the hundreds of third party tools and apps in the Sugar ecosystem to grow your business globally. SugarCRM’s innovative user experience (UX) is not limited to out of the box features only. SugarCRM Mobile enables users to create highly intuitive, customizable mobile experiences from anywhere. 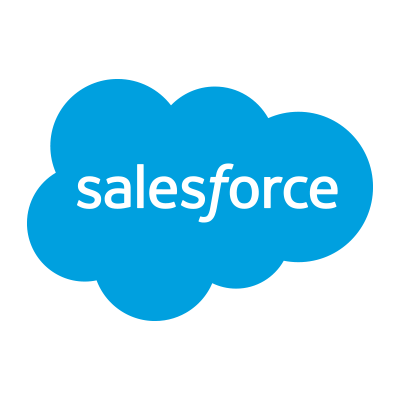 Salesforce is one of the leading providers of CRM solutions worldwide. It is a highly customization platform that allows a business to tailor their CRM solutions with a great deal of precision. From small businesses to large enterprises, Salesforce cloud-computing model CRM solutions can instantly scale and customize the services and landing pages as per requirement. Salesfroce CRM products include cloud-based solutions and apps for marketing, sales, services, analytics, collaboration and building custom mobile apps. Saleforce CRM solutions automate your tasks thereby saves your time and money while focusing on customer demands. ExactTarget: ExactTarget is now Salesforce marketing cloud. Salesforce’s acquisition of ExactTarget increased the growth and management of Salesforce Marketing Cloud. The combination of leading social media marketing solutions in Buddy Media, Radian6 and Social.com from Salesforce and ExactTarget’s innovative and incredible marketing automation and email marketing campaign management abilities enable the fastest and best ways to deliver the marketing platform of choice for CMOs. Connect with your consumers in the best ways possible across social media platforms, mobile, email, online portals and online advertising. Marketo is the powerful marketing automation software that enables online marketers to lead the digital marketing and engage their customers easily. From small companies to large enterprises, Marketo provides powerful, easy-to-use and complete marketing solutions. Thousands of companies are already using Marketo platform for their online marketing including Canon, Glassdoor, Hornblower, Hootsuite, Hyundai, Intel, Kaspersky, Nokia, Panasonic, Sony and more. Marketo offers great features to help businesses grow online and take their online marketing efforts to new heights via email marketing, online marketing (including landing pages, social content and webinars). Marketo’s new features enable easy and quick customization of landing page and email content thereby helps to run robust marketing campaigns. Microsoft Dynamics CRM is a customer relationship management platform that offers powerful marketing, sales and services to big and small companies. 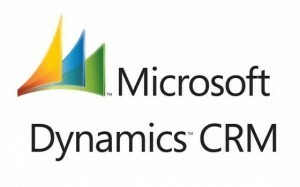 Microsoft sells Microsoft Dynamics CRM either as on-premises software or as a software-as-a-service offering called “Microsoft Dynamics CRM Online”. Microsoft Dynamics provides online business solutions for both small & medium businesses and Enterprise from retail, manufacturing, financial services to public sector. HubSpot is based on software-as-a-service technology that accelerates inbound marketing and sales to online businesses to attract visitors, convert leads, and acquire loyal customers globally. HubSpot is used by more than 15,000+ customers in more than 90 countries as a software, service, and the best platform to enage more customers in less time. HubSpot’s software changed the way how companies used to market and sell their products online. It’s innovative approach helped companies to redefine autonomy and transparency in the modern workplace. HubSpot Social media channels are becoming progressively more “pay-to-play” spaces. You can strategically put your money in social media ads to reach your target audience and get best results in a very limited time. What’s a Facebook Lookalike Audience And Why Is It Important?